Slideshow IS THERE AN ORDER WE NEED TO KEEP? To view the slideshow of artworks with children’s labels, click on one of the small images first. New York, Museum of Modern Art (MoMA), Elizabeth Bliss Parkinson Fund. For this painting Derek Boshier was inspired by everyday things that we buy and the advertisements for them. The name of this painting is from a slogan encouraging people to drink milk; and the milk pouring from the glasses is from an advertisement for Cadbury chocolate. Do you think the faceless people look as if they are being drowned by a flood of advertising? How do you feel when you look up at this sculpture? 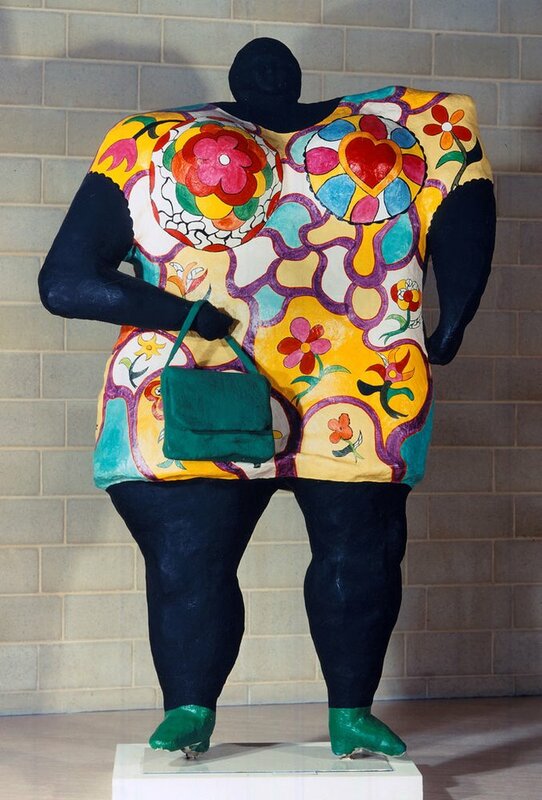 Niki de Saint Phalle has made a huge sculpture of a woman wearing a fashionable 1960s dress with matching handbag and shoes. The artist has made her as a proud modern woman but who also looks like an ancient goddess, with her exaggerated shape and small head. What sort of personality do you think she would have? What type of creature do you think this is? 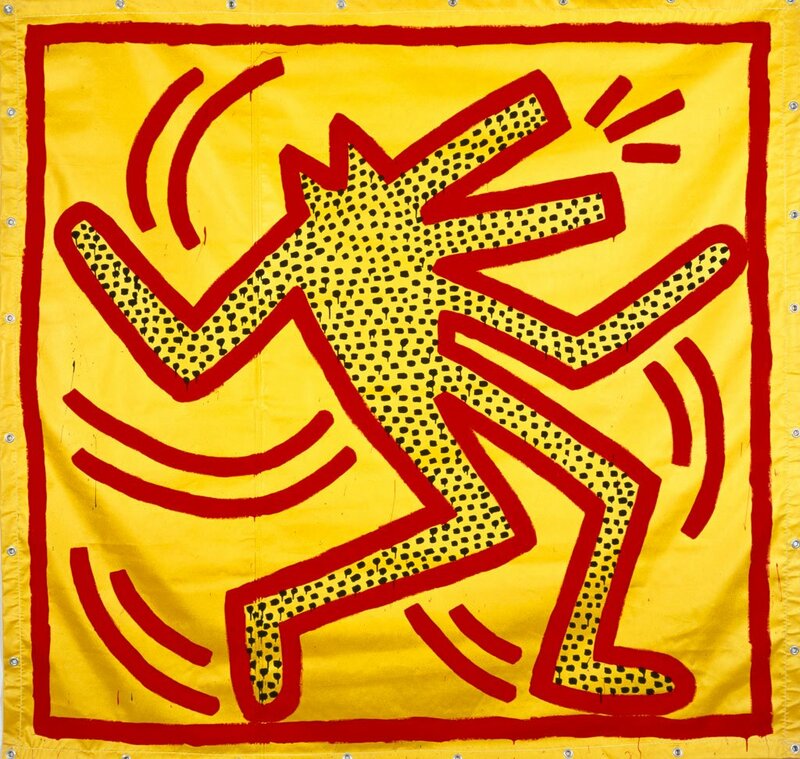 Keith Haring made graffiti art in the New York City subway of figures and animal-like shapes using bold lines and colours. 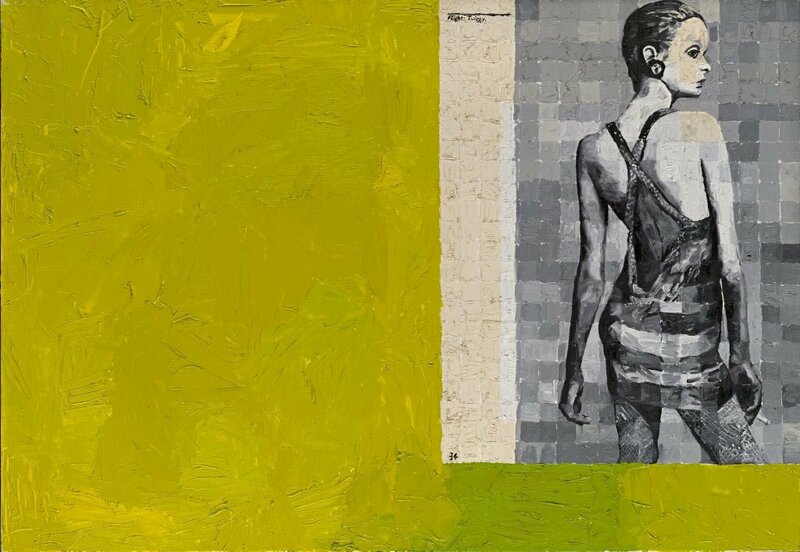 His style became popular and soon his art was seen in galleries around the world. His characters often look like they are moving in time to the rhythm and sounds of the city. What sounds could this creature be moving to? 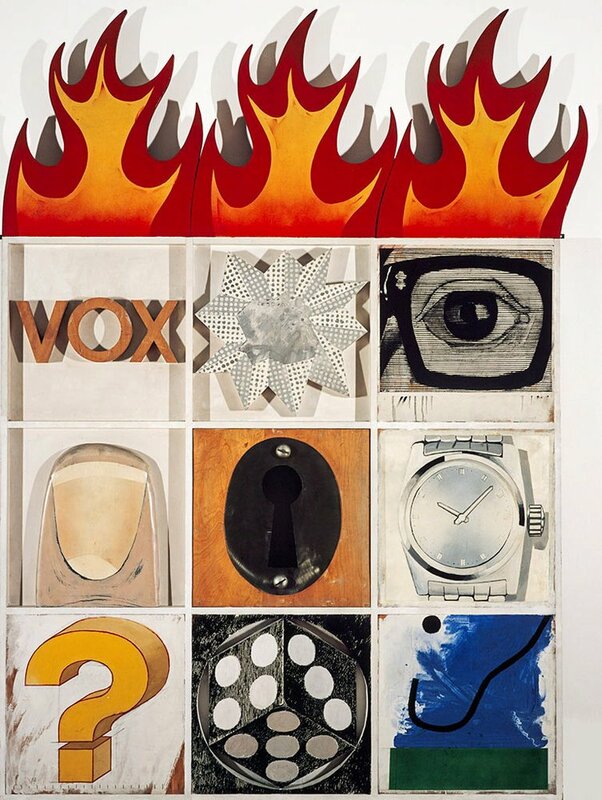 Do you recognise the objects in this artwork? Jeff Koons likes to make us look at everyday objects in new ways. 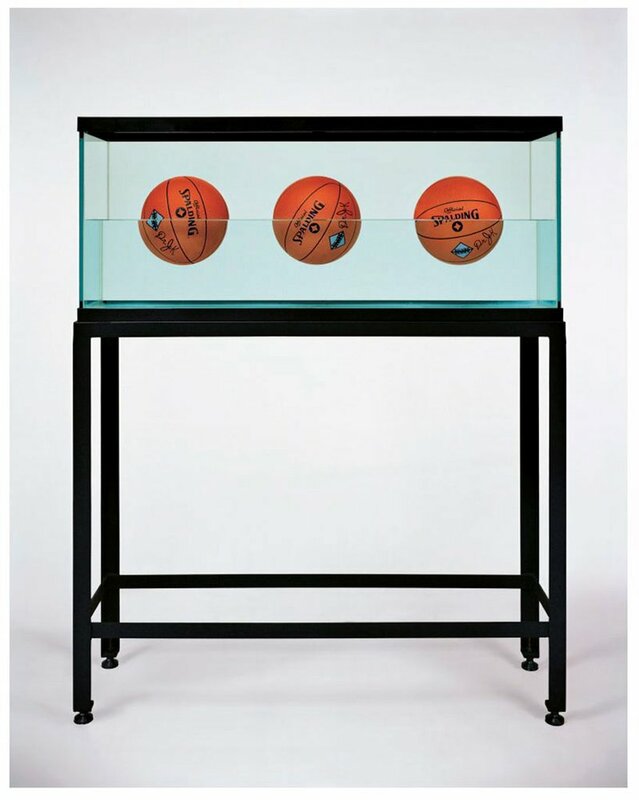 These basketballs are suspended in liquid in what looks like a fish tank. The balls appear to be balanced and still; but are they floating or sinking? Stare at the basketballs for a moment. Can you see them move? Do you like going on picnics? Alain Jacquet has given a pop makeover to a famous old painting by Edouard Manet of people picnicking in the woods. He has updated the setting and the fashions. 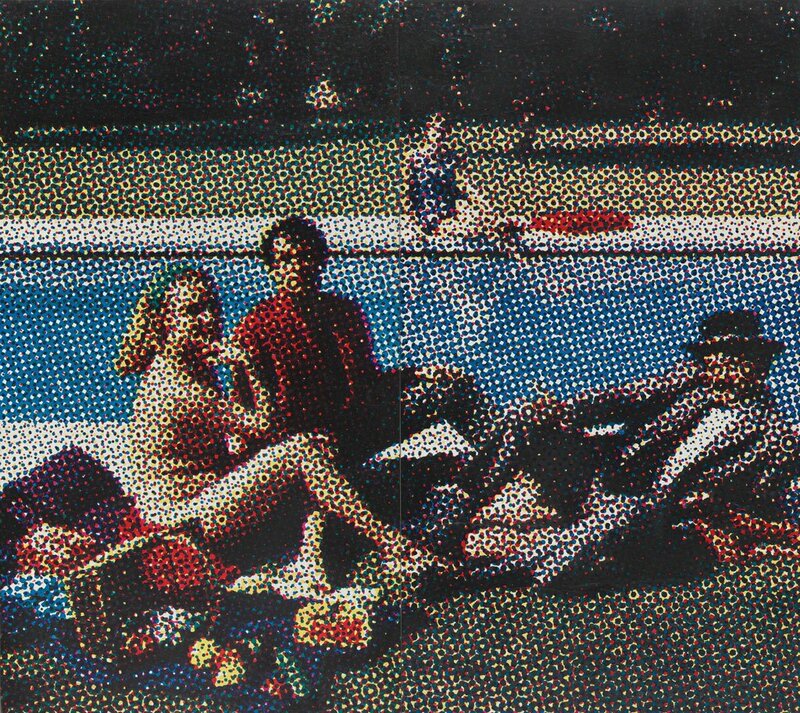 Jacquet has printed a photograph onto the canvas with a dot technique used to print magazines. Can you see how the dots of colour overlap to create new colours? 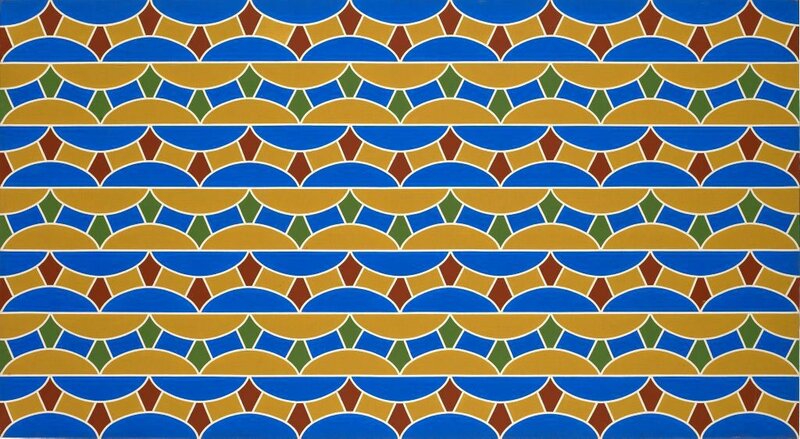 How many numbers can you see in this painting? 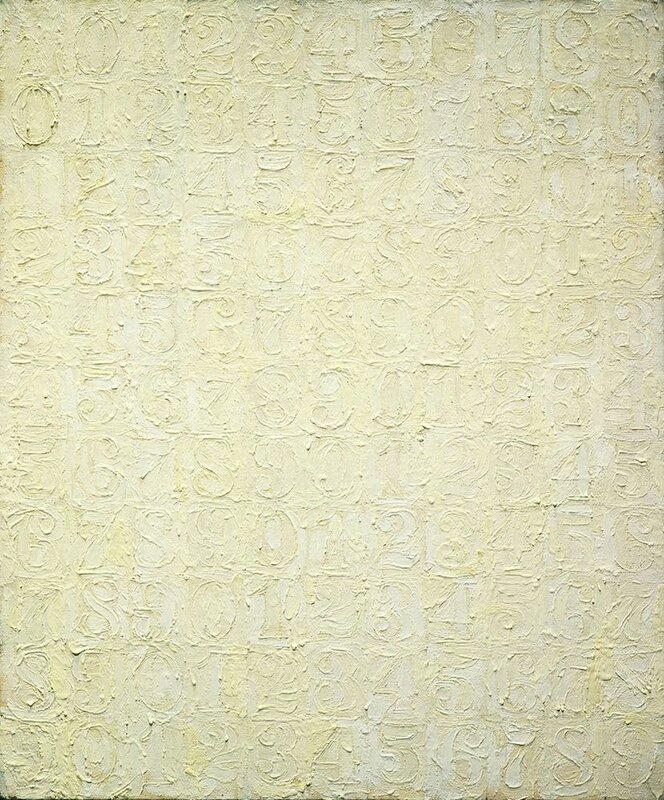 Jasper Johns has created rows of numbers across the canvas using thick coloured wax, called encaustic, to make a textured surface. Even though he has only used shades of white, you can see the numbers because of the layers, ridges and shadows. Can you see the numbers better when you are up close or further away? Do you bake at home? 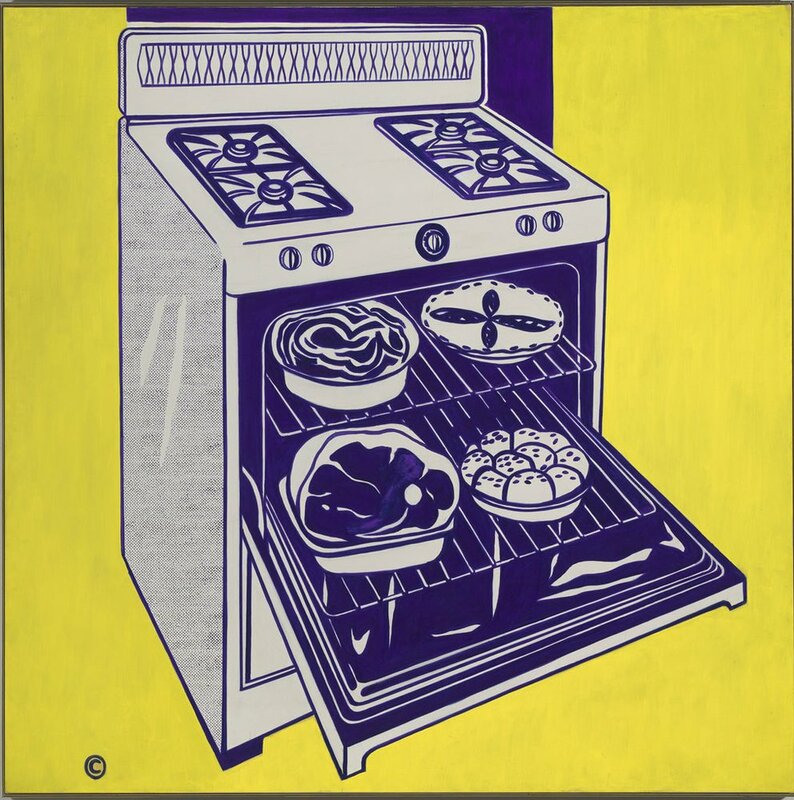 Roy Lichtenstein painted this kitchen stove filled with baked food. He has used just two colours, and the tiny dots make it look like an advertisement in a magazine. He painted the dots by hand and you can see the pencil marks he drew before he added the paint. Can you spot a cupcake painting nearby in the same style? Have you ever ridden a horse or pony? 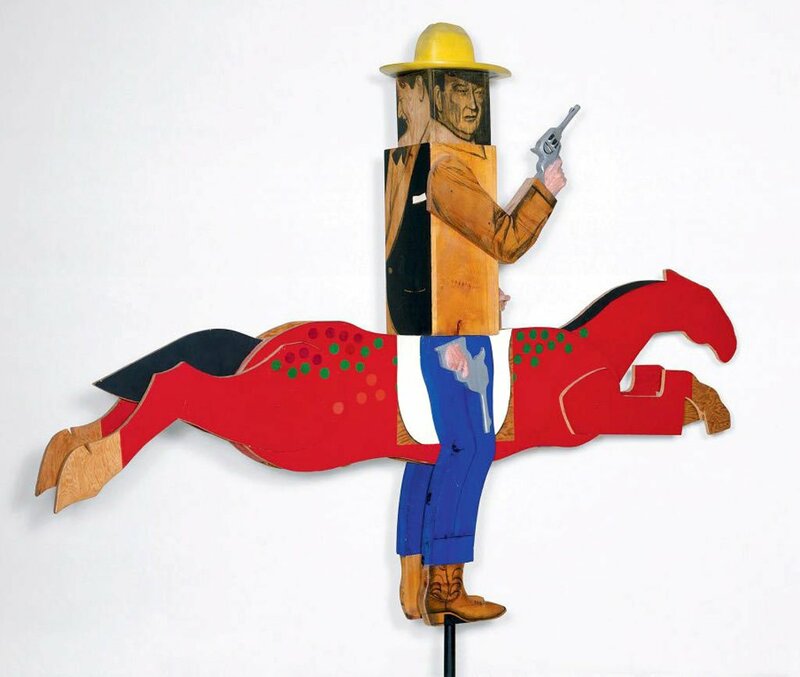 Marisol made this sculpture of a famous American actor called John Wayne riding on a colourful horse. She has used carved wood and plaster casts of her own hands to make the sculpture. Notice how John Wayne appears in different clothes and poses on the sides of the central block. What type of movie characters do you think John Wayne played? Do you think this chair would be comfortable to sit in? of so we look at them in new ways. 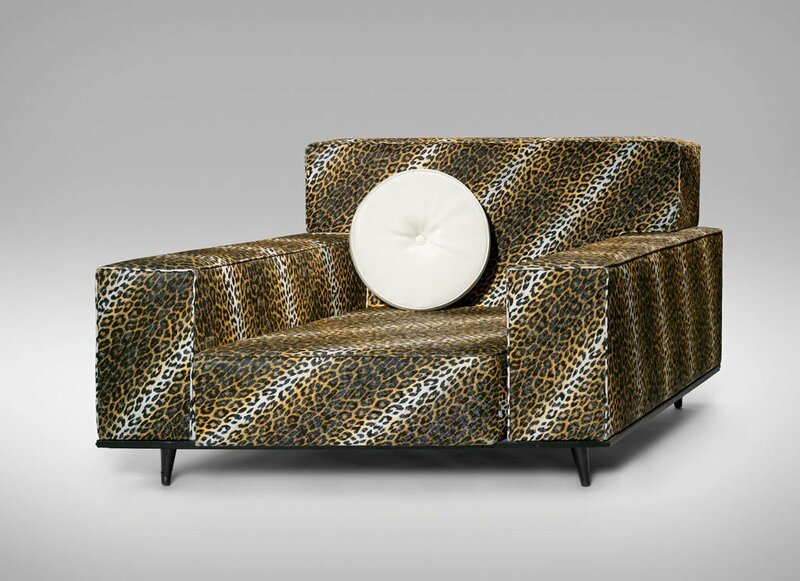 What room would this chair look good in? Have you ever tried knitting? Robert Rooney was inspired by the instructions in a knitting-pattern book to create this large abstract painting. He has used flat, contrasting colours of the same intensity that make it look like it is vibrating. Stare at the painting for a moment. Can you make it ‘move’? Have you noticed that pop artists often use words in their art? 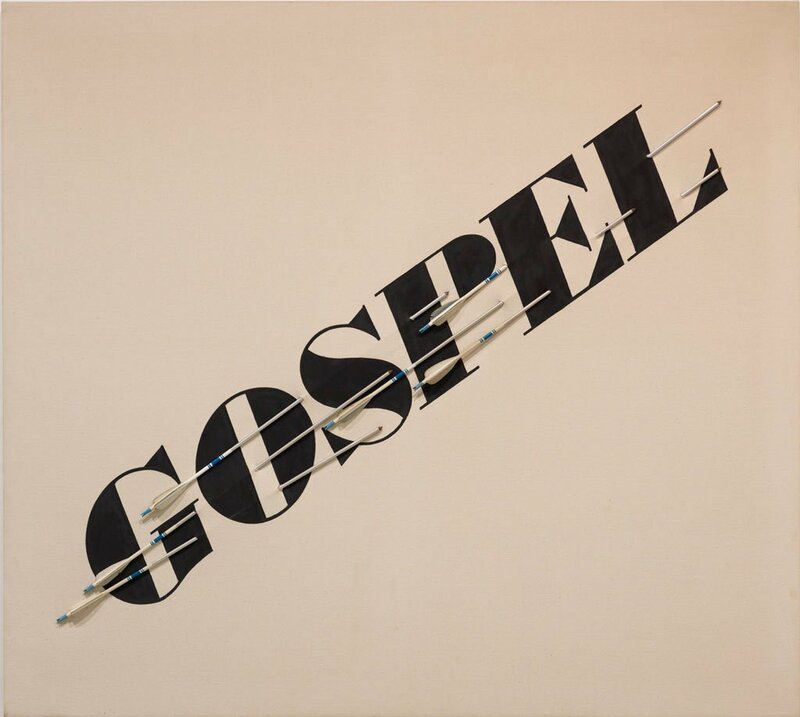 Ed Ruscha painted the word GOSPEL across the canvas, pierced by real arrows. ‘The gospel’ is the story of the life of Jesus and if we say something is ‘gospel’ we mean it is completely true. 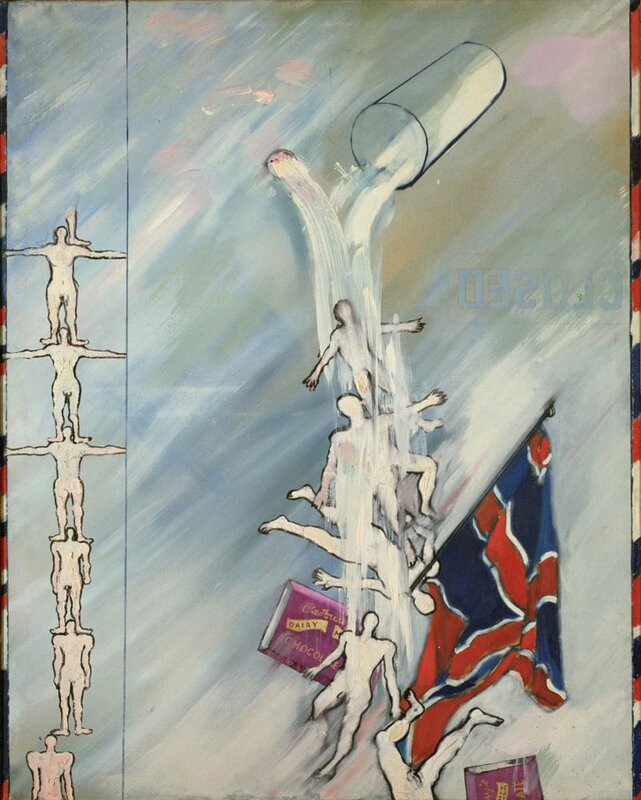 Perhaps this is a painting about how art can tell stories or represent things that are true. Would this look as unusual and effective if Ruscha had painted the arrows rather than used real ones? How many things can you see in this artwork? Joe Tilson has created a wooden construction that is about words and symbols, and how pictures can communicate an idea. Each section is about different ideas, such as time and chance; or a sense, such as sight, sound and touch. Can you guess what each section means? Which colours do you like best in this series of faces? Andy Warhol is one of the most well-known pop artists. He was fascinated by fame and famous people. He created these prints of the actor Marilyn Monroe in many different colours to look more like they came from a factory than an artist’s studio. Would this artwork have the same impact if there was only one version of Marilyn? Have you ever tried to paint a picture by copying from a photograph? Jenny Watson has painted a famous model from the 1960s called Twiggy, from a printed photograph. Watson has placed the image into a grid of squares, each painted with distinct brush marks. The result is a mixture of original and copied. Do you think a copy of a copy can be original?